I laughed, I cried, it moved me. I loved how it started. I was pleasantly surprised that there is no love interest. This was beautiful in ore ways than one. the eye candy is spectacular and the skating is so perfect it can bring a tear to your eye. Looking forward to enjoying more. This is a fantastic new Anime! Yuri!!! on ICE is off to an amazing start. I have been an avid figure skating fan since I was a child. 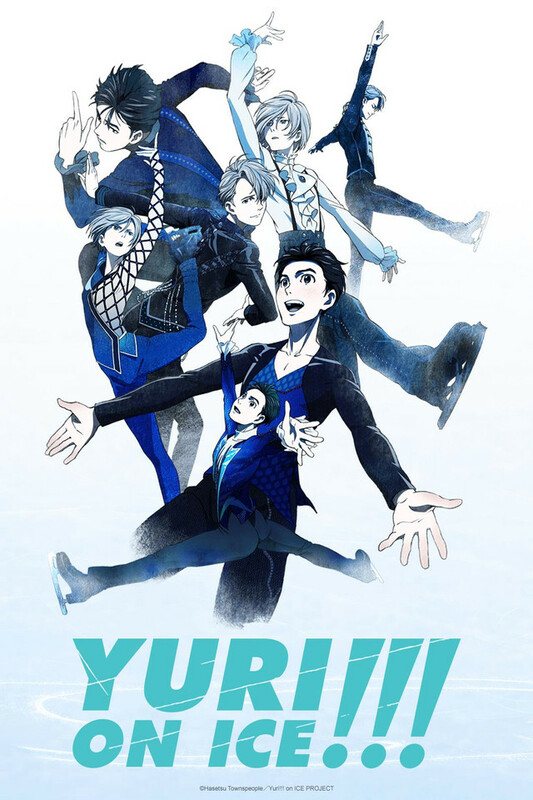 The animation is breathtaking, especially in the actual figure skating sequences. You can tell that they had real figure skaters involved in the choreography. The characters, especially Yuri Katsuki are relatable and well-written. I cannot wait to see what else is coming in this series! I thoroughly enjoyed the first episode--even though I was initially hesitant. Absolutely beautiful animation with a lot of detail to the skating. The first scene you see Yuri skate is worth the watch, in and of itself. I'm looking forward to the next episodes. I'm not figure skater but I love watching figure skating. I always watch it since I could remember. My mom would turn on tv for me to stay still! Haha. I was wild child. This anime, I wouldn't ask for better! So amazing. I'm looking forward for more! Can't wait to see more, and doesn't fail to surprise you. Different faces from around the world. Their motions are fluid, but the fast spins are hard to do for animation. I'm surprised to see this sport done. Beware, once you watch one episode you will be hooked and can no longer stay away!